News of the app has caused quite a bit of controversy after it was originally reported by the state-run China Daily. It is an extension to China's existing "social credit" system which scores people based on how they act in public. It's no secret that China keeps a very close watch on its citizens, but this new public shaming approach takes it one step further. The app is available through the WeChat platform which has become immensely popular in China. The government stated that "Deadbeat debtors in North China's Hebei province will find it more difficult to abscond as the Higher People's Court of Hebei on Monday introduced" the app. Once a user is alerted that they are close to a debtor, the user can then view their personal information. This will reveal their name, national ID number, and why they were added to the debtor list. The debtor can then be publicly shamed or reported to the authorities if it is deemed that they are capable of repaying their debts. 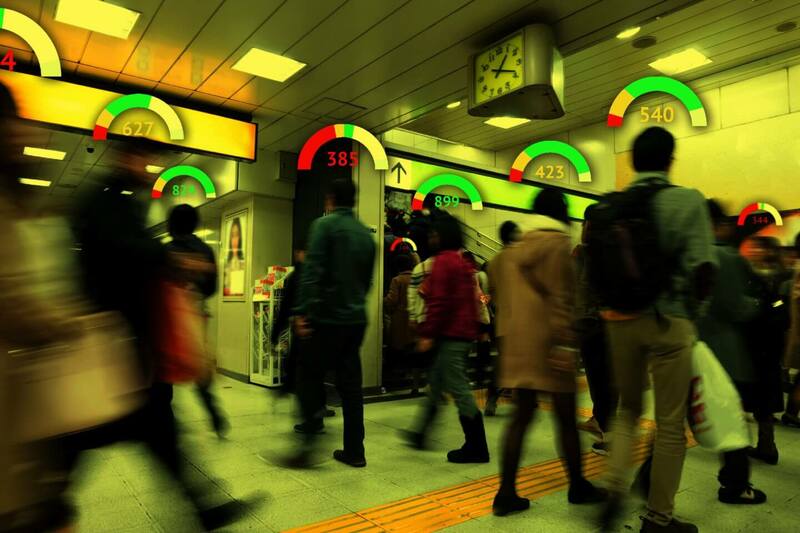 The full social credit system will be operational in 2020 and plans indicate it will be used to bar people with low scores from traveling, getting loans, and getting jobs. A person's score can be lowered if they do things like playing an excessive amount of video games or posting fake news. On the other hand, a social credit score can be raised by things like volunteering or donating blood. China's government seems to be doing all it can to take all its economic prosperity and squander it on building a dystopian police state. If they incentivize squealing on others for supposed "social crimes" then the same gangsters who always game they system will find a way to falsely charge innocent citizens on a massive scale. We've already seen the bitter harvests of political correctness in the west and this everyone-is-an-informant scheme appears far worse. loki1944, JamesSWD, jel merd and 5 others like this. Not sure if reading lost chapter of 1984 or actual news report. Well I'm screwed if I for some reason move to china. jel merd, thelatestmodel, ForgottenLegion and 3 others like this. 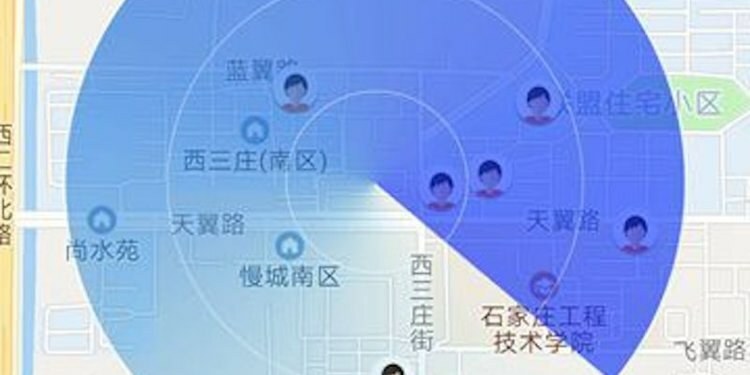 This social credit thing China is implementing is downright terrifying. Roman Architect, jel merd, mcborge and 1 other person like this. ...with Loanshark add-on to see people who owe you money. But seriously, I say, f-k China, just as they f-k with basic human rights! They have zero respect for privacy, and their politicians behind the regime deserve to be tied to a pole and stoned to death, in the best Bible's traditions. An app to label people deadbeats, and encourage to rat them out? Just how f-d in the head those Chinese are? loki1944, jel merd and Eldritch like this. loki1944, thelatestmodel, Underdog and 1 other person like this. 1984 was nothing when compared to current Chinese dystopia which is worsening at an alarming pace. Organ harvesting, student sleep tracking, denying right to use public transport, public shaming.... What the actual f***. Maybe they need to create an app that informs you when you are near someone who is a hacker employed by the Chinese government dictators. Might be much more useful. loki1944 and jel merd like this. Mao's spirit still permeates China's government 42 years after the black-hearted prick's death. loki1944, jel merd, senketsu and 1 other person like this. Nowadays North Korea's lack of connectivity probably seems more enticing to some of their neighbors to the north. ForgottenLegion and Eldritch like this. Bring that app to the North East of England. It would blow your phone to bits in mere minutes. thelatestmodel, Underdog and ForgottenLegion like this. NoDogNoWonder, JamesSWD and ForgottenLegion like this. Holy moly! Life has its ups and downs, apparently you won't be allowed to have downs in China. Tech is supposed to facilitate, not intervene, stamp or judge my life because of things that are and sometimes aren't in my control but hey I'm in debt so let me warn you beforehand. I believe that they will be the first to implement mandatory implant chips. "Enjoy China, it's like North Korea with Wi-Fi"
Lew Zealand, jel merd, Underdog and 1 other person like this. That would flag up well over half the population if that happened given how hard it is to get by here without having some form of debt. Our economy practically depends on it. Lionvibez and Underdog like this. The Chinese wouldn't do something if they didn't think it wouldn't increase their competitive advantage over the West. When you think about it, why shouldn't people be shamed for being bad debtors? Why shouldn't social credit exist and help you with career and education? People are not the same, and those that work harder than the rest should be rewarded. Social credit will help you only if you submit yourself fully to CCP ideology and don't ask/post/pose any questions and never have bad luck of having a debt. It is highly discriminatory tool and can be used to solidify power not just at top but at every level by ensuring that only Party Approved people are wielding any power or post in the country. Terrifying to say the least. loki1944 and senketsu like this. When you think about it, why shouldn't people be shamed for being bad debtors? Because the reason why they are in debt is very important. If you or someone in your family went through a few $150,000 surgeries or you simply had a well intentioned but failed business venture you could be facing massive and undeserved social pressure. While there are some criminally abusing the banks and financial systems, this dangerously lumps everyone into the same category. The article did mention that a citizen could report someone if they thought it was "deemed that they are capable of repaying their debts." Judging based solely on appearance has never led to mistakes right? Why shouldn't social credit exist and help you with career and education? Because collective conscience is potentially corruptible. A system like this is a small step away from being horribly abused. A number of governments in the recent past could have used a system like this for much more effective purges with a little tweaking. Lew Zealand, mcborge and Eldritch like this. So I take it mortgages don't exist in China? Excatly. People forget that there are people who face problems and may end up in debt. People may make anti-establishment comments in youth. People may make mistakes. People may be subject of greed of others. And so much more. Also, there is massive potential to use it for crony capitalism and to achieve absolute control by political establishment. This is far beyond Orwell. China is now an example of how controlled and mislead people, lead by propaganda and corrupt media can be made subject of even slavery eventually and they won't speak up till its too late. By the time they know they are stripped of every right and due process, the system will be so powerful that the dissenting people will be eliminated immediately and silently. "The full social credit system will be operational in 2020 when plans indicate will be used to bar people with low scores from travelling, getting loans, and getting jobs." How does preventing people from getting jobs help them to pay off their debts? nrstha, NoDogNoWonder, Lew Zealand and 3 others like this. I understand (as I think you are getting at) that this has a noble goal as its end. A society without the level of western crime, thefts, bums, etc and having people that do good things like donate blood and volunteer. It's just the means to this end are wrong. @Eldritch in his replies is very clear in how this isn't a good idea, especially in mainland China's hands. nrstha and NoDogNoWonder like this. will never rule the world! China is still a dictatorial police state...the Largest open air Prison in the world. BTW China is also a pretend communist state. Read the manifesto lately. ?